At Finger and Associates we add new innovative solutions, such as scalp rejuvenation treatment with PRP to aid in hair Growth. PRP improves circulation and aids the healing process when combined with hair restoration. 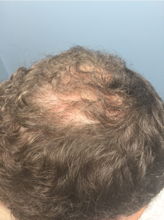 The 24 year old patient on the picture has committed to “NeoGraft Hair Restoration” and will combine it with PRP therapy to aid the healing and also stimulate new hair growth. The field of Regenerative Medicine is expanding rapidly, and one of the newer technologies to come from this area of medicine is platelet rich plasma (PRP) therapy. It has been used for over a decade in orthopedic applications, and is what Kobe Bryant as published on ESPN.com is using to treat injuries to his right knee, and what Peyton Manning used to help heal his neck injury prior to his record-breaking season as a quarterback in the National Football League (NFL). 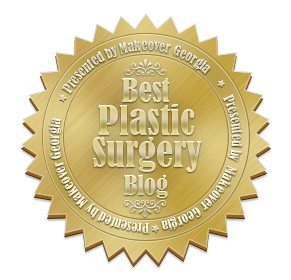 In the field of hair restoration, its use has seen a dramatic increase in the past two years as hair restoration surgeons have discovered the positive benefits of this form of regenerative medicine. 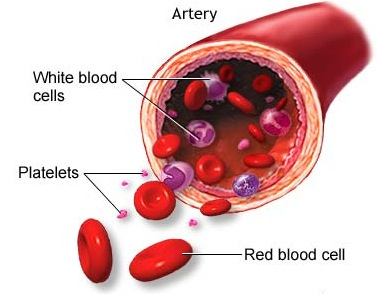 Platelets are small disk shaped cells within your blood that are rich with high concentrations of several growth factors, proteins and cytokines. The platelets can be thought of the “quarterbacks” of the healing processes in your body; they significantly encourage healing response, and they play a vital role by releasing the growth factors. PRP is a consolidation of these growth factors and many proteins that collectively stimulate repair and regeneration of your body. Platelet rich plasma (PRP), is now being used in combination with Hair replacement therapy. Hair loss solutions for men and women include PRP Scalp Therapy via injection or microneedling and can be included as a part of a hair restoration procedure. Medical studies have consistently shown that this additional treatment increases the growth and density of the transplanted hair. The PRP acts in a manner not unlike fertilizer for your lawn. 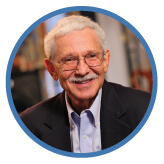 When used in conjunction with a hair restoration procedure, FUE NeoGraft robotic surgery procedures, the PRP is injected painlessly just under the skin where the new hair grafts are going to be placed, so that when they are placed, a high-than-normal level of the body’s own cells of healing are present in the skin, which greatly enhances the graft yield, hair density, and final cosmetic appearance. PRP Therapy via injections into the scalp a few weeks prior to NeoGraft Hair Transplant can be extremely helpful in the healing process. There are no wounds created; only a tiny 30g needle is used, and so there is no scarring of any sort, and following the procedure there is zero evidence that a procedure of any sort has taken place. This is similar to when you have your blood drawn for labs; there are no permanent changes that occur at the blood draw site, typically on the inside of your elbows. PRP Treatment as a stand alone procedure can be effective for women and men under 35 with thinning hair. There is a significant chance that the rate of hair loss slows down dramatically, and in some cases, the follicle produces hairs with larger hair shaft diameters, and thus it appears as thought the hair has grown back. PRP Therapy can be repeated 3-4 times per year and as long as micro-needling or a tiny needle is used, there should be no shock hair loss. The treatment is done in our office by Dr. E Ronald Finger, or one of our qualified Nurses and requires preparing a small amount of the patient’s own blood. The blood is then placed into our centrifuge and spun down into a powerful serum (derived from the separation of white and red blood cells, and platelet rich plasma) to help initiate cellular regeneration within your scalp. Dr. E Ronald Finger gently administers a local anesthetic to completely numb the scalp treatment area prior to the PRP procedure. If desired, a sedative can be administered (if you are not driving home). The PRP and administered via a series of injections over the recipient areas of the scalp. How a patient responds to the procedure can vary from person to person, and will depend on the intrinsic healing ability of one’s own body. Individuals receiving PRP therapy exhibit improvement after about 2 or 3 months, and can be repeated every 8 to 12 months depending on the level of response. The process is one that involves drawing 10ml of your blood, and placing that into a centrifuge, which spins the blood and separates out the different components of blood. The PRP can be included as a part of a hair restoration procedure offered, as it is exceptionally good at helping the new grafts heal into their new location. Medical studies have consistently shown that this additional treatment increases the growth and density of the transplanted hair. The PRP acts in a manner not unlike fertilizer for your lawn. When used in conjunction with a hair restoration procedure, FUE NeoGraft robotic surgery procedures, the PRP is injected painlessly just under the skin where the new hair grafts are going to be placed, so that when they are placed, a high-than-normal level of the body’s own cells of healing are present in the skin, which greatly enhances the graft yield, hair density, and final cosmetic appearance. PRP Therapy via injections into the scalp a few weeks prior to NeoGraft Hair Transplant can be extremely helpful in the healing process. There are no wounds created; only a tiny needle is used, and so there is no scarring of any sort, and following the procedure there is zero evidence that a procedure of any sort has taken place. This is similar to when you have your blood drawn for labs; there are no permanent changes that occur at the blood draw site, typically on the inside of your elbows. PRP Treatment as a stand alone procedure can be effective for women and men under 35 with thinning hair. There is a significant chance that the rate of hair loss slows down dramatically, and in some cases, the follicle produces hairs with larger hair shaft diameters, and thus it appears as thought the hair has grown back. PRP Therapy can be repeated 3-4 times per year and as long as micro-needling or a tiny needle is used, there should be no shock hair loss.